I've been a fan of these next two artists for quite some time now, and it's a pleasure to have them here on Texas Online Radio. I'm speaking of Susan Gibson and Jana Pochop. My first experience with Susan Gibson's work was through a friend in Austin. I'd gone over for a weekend get together and bbq, and they had a band called "The Groobees" on the stereo. I really liked the sound, dropped in to Waterloo Records and picked up a copy. It was one of my favorites, and still remains in my collection. The band split up some years ago, but if you can find a copy of any of their music, you'll love it. 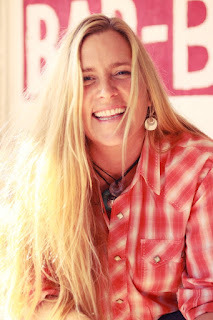 I've seen Susan a couple of times at Gruene Hall learned a bit more about her, and her music and stage presence still continues to please the crowds wherever she goes. It's a privilege to have a cut off her new CD "Tight Rope" which is featured in the set on the podcast. My introduction to Jana Pochop came from another direction. Back in 06 or 07, I can't remember exactly, I was working on Texas Online Radio as the "day job" allowed, and was receiving new music in the mail just about every day. I'd found Jana's music on a random website, fell in love with it, and sent her a note telling her about TOR and I'd love to play her music. Everything about her sound said Austin, Texas. 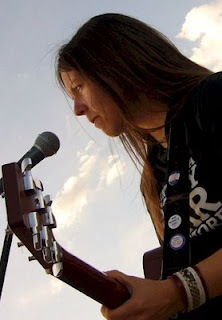 She was an up and coming singer songwriter who you knew was singing from the soul, and writing from the heart. Within days, a CD was in the mail box. and here we are... what a small world. This set is pretty special to me... it gives me an opportunity to showcase a couple of very talented Texas artists that just happen to work together. It's always nice to run into old friends, and acquaintances. That makes the music that much sweeter. I've included a couple of great tunes from their latest works on this podcast, Jana is featured on the podcast performing "Ritalin"
Sit back for a few and enjoy the podcast, and below I have contact information from the two websites and Jana's new video "Resurrection Buzz", and a University of Montana produced video about the genesis of the song "Wide Open Spaces" by Susan Gibson. Enjoy! Thanks for visiting, and be sure to add these two great CD's to your collection. Contact Susan Gibson and purchase "Tight Rope" here. 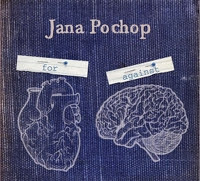 Contact Jana Pochop and purchase "For & Against" here.